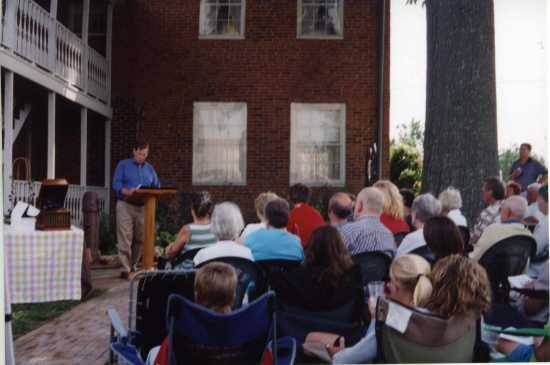 Sunday, September 13 2009 - Guests in attendance at the Oliver House Ice Cream Social are treated to not only delicious refreshments, but an interesting talk by Dr. Frank Nickell about Missouri's involvement in the civil war. Around 80 to 100 people visited the Oliver House that day, to enjoy the sunshine and take a tour of Jackson's premier historical landmark. The Ice Cream Social was held by the Jackson Heritage Association. Be on the lookout for more JHA and Oliver House activities this holiday season!